Most of us start checking our email the moment we open our eyes and hit the ground running from there. I am HUGE proponent of building a solid morning routine that includes time for several self-care rituals (more on that in another post), and breakfast is by far the most important - and most frequently ditched- ingredient to fueling our daily hustle. 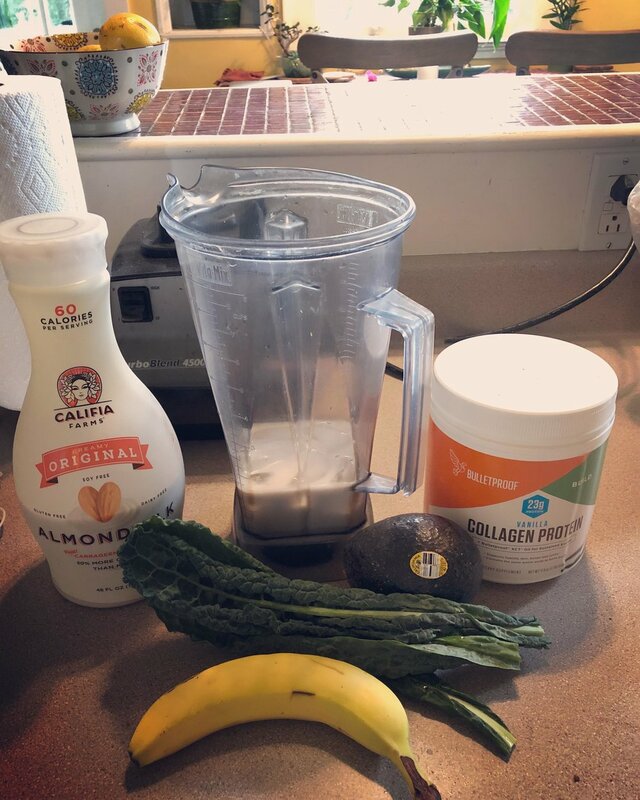 Smoothies are my favorite way to pack plenty of nutrition into every morning, with a solid balance of healthy fat, protein, carbs and fiber. And once you taste this one, you'll definitely want to find the 5 minutes it takes to drop the ingredients into a blender and whip it up. Enjoy!